The RapidMount SuperFlex Arm kit from Tether Tools mounts Speed Light Flashes securely to any grip gear with a female baby stud receptor. 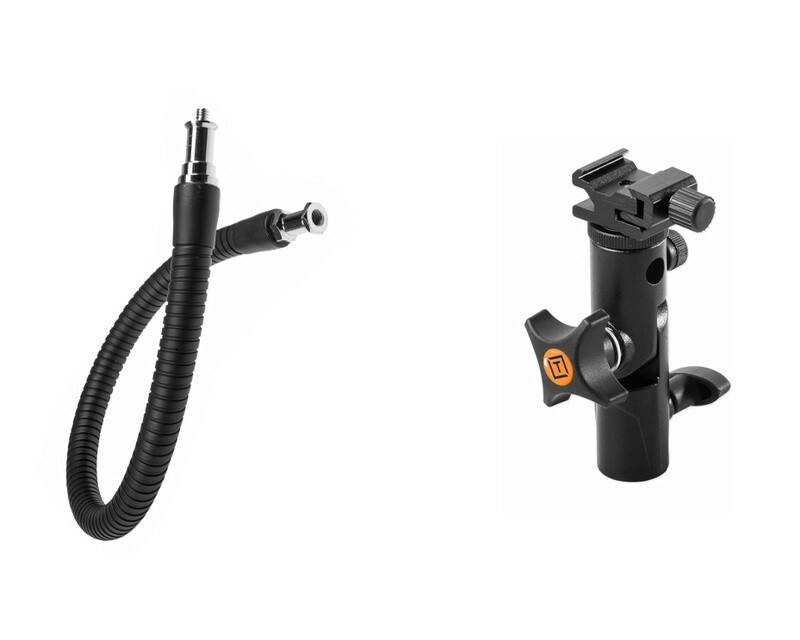 The gooseneck design allows you to easily position the speed lite flash to where you need it. The versatile cold shoe mount fits almost all flashes and allows for 360° swivel and the built-in elbow allows 180° degree locking tilt control.